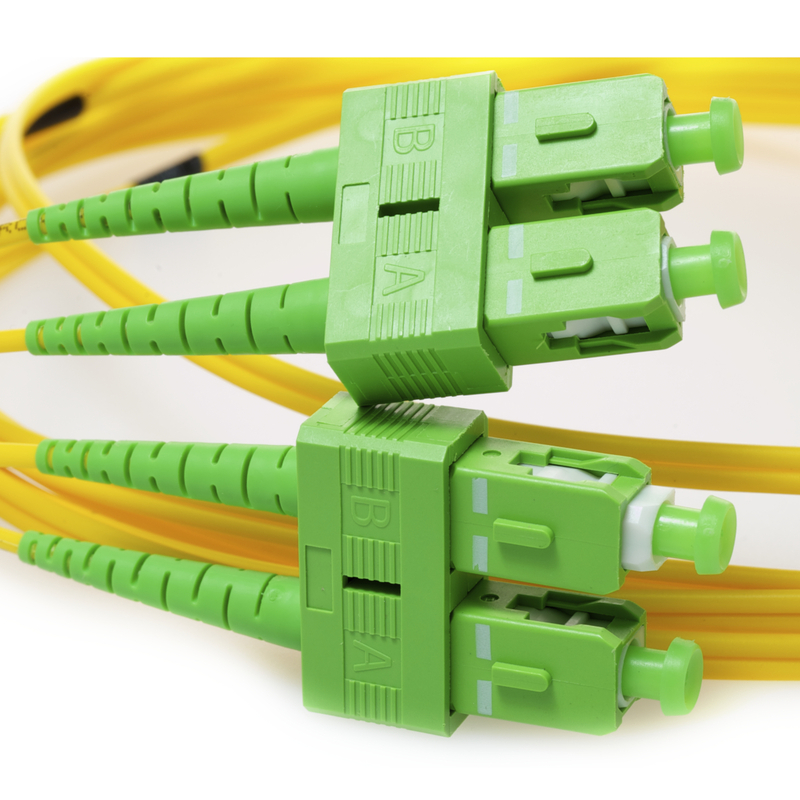 APC, or Angled Physical Contact Fiber Connectors are different from the standard UPC, or cables with Ultra Physical Contact. Datacomm Cables (Cables.com) provides a wide variety of APC Singlemode Fiber Cables in different lengths and configurations. APC connectors are polished at an 8-degree angle. UPC connectors are polished with no angle but are slightly curved for better core alignment. UPC connectors are blue while APC adapters are green. Our cables are available with both ends APC to APC, or APC to UPC. We are constantly adding part numbers, so please contact us with your inquiry. We can have them made in 1-2 days if they are not already in stock. 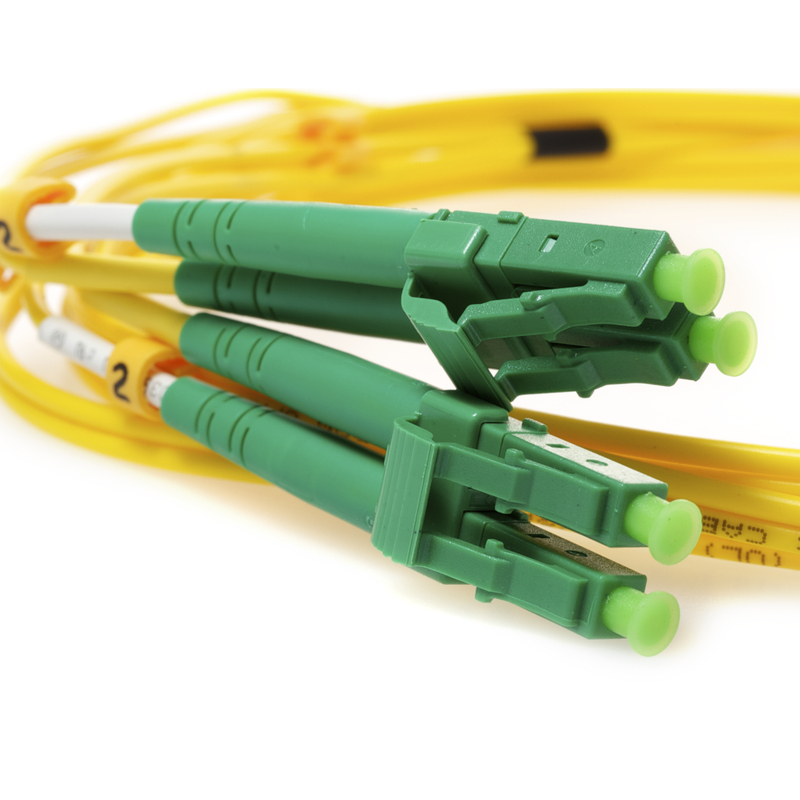 You can also order our APC Singlemode Fiber Cables in custom lengths and configurations by using our unique, online Cable Configuration tool .